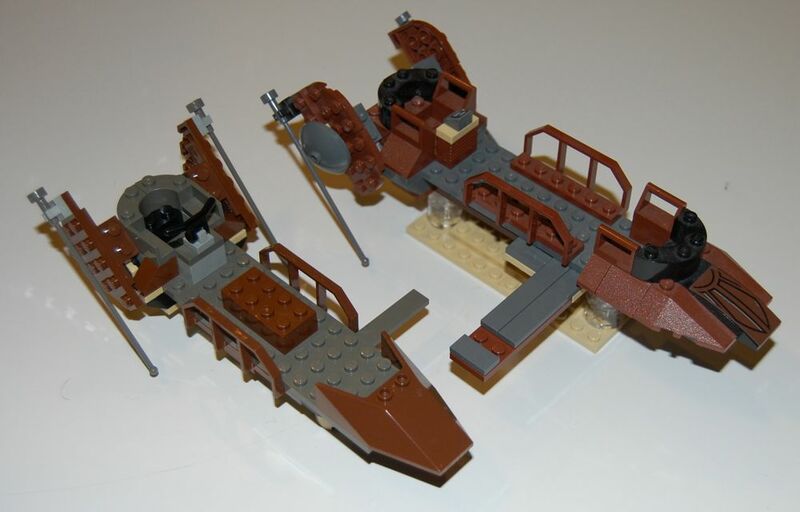 After getting the Jabba’s Palace, Jabba’s Prize and Jabba’s Message sets (all released in 2003) and the Jabba’s Sail Barge set (released in 2006), I thought that I had all of the Jabba-related LEGO sets. 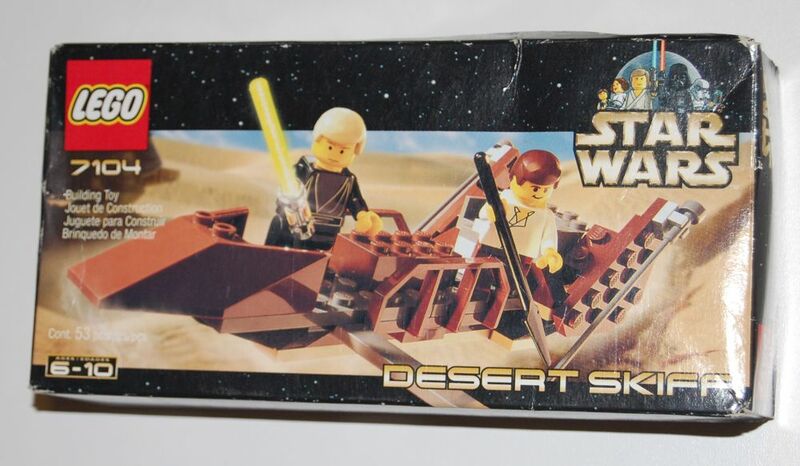 But I didn’t know about this Desert Skiff set, which was released in 2000 — several years before the others. As you can see, they’re pretty different, even though they share some parts. The gang plank on the one from the Sail Barge set swings in and out, while on this one it’s fixed in place. 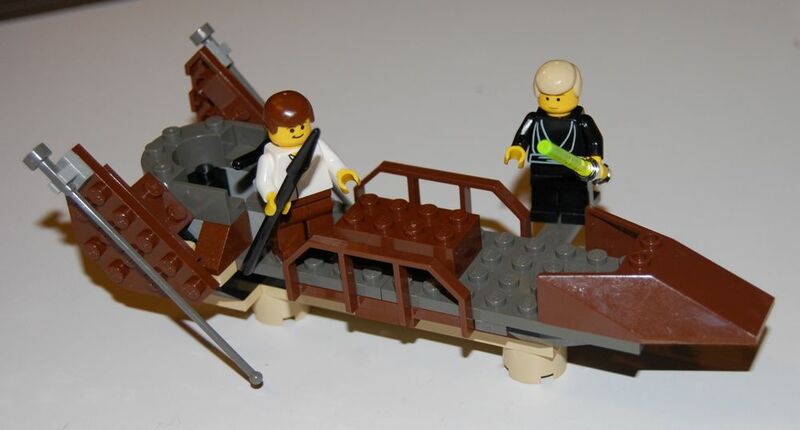 You can pretty easily use this one with your Sail Barge set, since Jabba had more than one skiff. I wonder if I can really say that I have all the Jabba-related LEGOs now, or have I missed something? First, there was a Luke + Han + Fett minifig set. Fett has a Sarlacc-themed background card, Luke’s card has the Emperor on one side but the other side has a pic of Luke on Jabba’s skiff. There was also a Fett + Slave Leia + Emperor’s Royal Guard minifig magnet set. There are a few different versions of Slave Leia in keychain form. The 7014 Desert Skiff set you talk about in this very post had a postcard associated with it. There were postcards to go along with the LEGO SW visual dictionary; one of them was “Aliens” and has Jabba, Rotta, and a Gamorrean, along with some non-Jabba-related aliens.